I am Raju Venkataraman, 38 years old IT Professional , living and working in San Antonio.I moved to USA to pursue my dream of higher education and I honestly feel blessed having an opportunity to go to school and live in this country of dreams and hopes . I haven't read or experienced any other country which provides opportunities for people from all over the world and all walks of life. You can become CEO of Microsoft ( Satya Nadella ) , CEO of Google (Sundar Pichai ) or Run Pepsi like Indra Nooyi. Sky is the limit and you can excel whatever field you want to excel . It's like dream come true for humanity . Attending school and having the opportunity to interact with best and brightest talent is one of the best experiences in my life . After school , I applied for H1B worker visa and started my career in IT Field. I have been working on H1B visa for more than 12+ years. It's probably the case with majority of the people from India who came here for higher education. Being on H1B VISA , I couldn't follow my dream of staring something on my own . My ability to be entrepreneurial is restricted by H1B Regulations. I talked to the lawyers about staring LLC on H1B and I came to know the restrictions. From my personal experiences, I can tell H1B Regulations takes the freedom out of highly skilled workers and rewards big corporations. 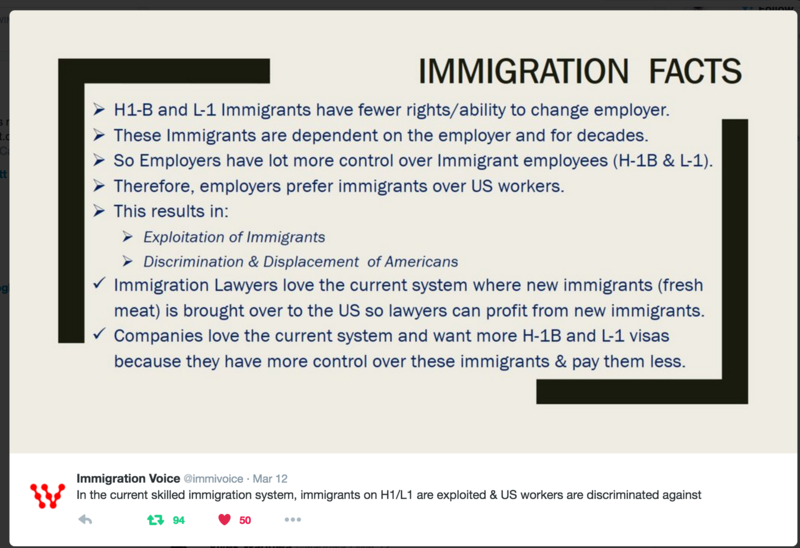 H1B Skilled labor can't change jobs easily and they are stuck with same employer sponsoring their GreenCard. H1B Skilled labor can't start their own company , literally making them slaves for Big Corporations. H1B Skilled Labor quality of life and full fledged contribution to the society is severely restricted by regulations. H1B Skilled labor life decisions are made based on Immigration laws which profits big corporations. 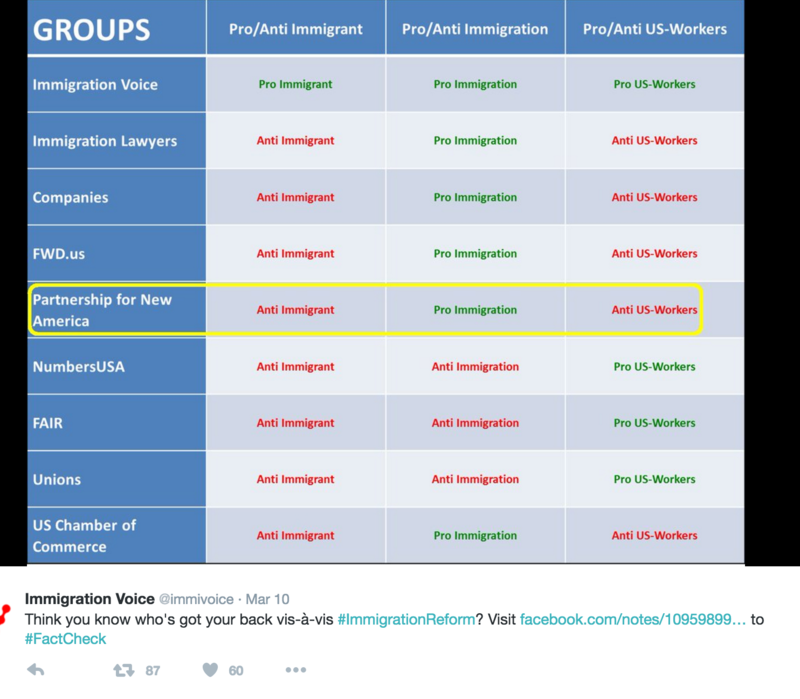 Majority of the policy decisions on H1B is derived from immigration lawyers and corporate concerns. Current Regulations severely hampers the spirit and life of H1B Skilled workers as well as fellow working citizens and benefits Big-Corporations in the form of Modern Day Slavery. Current Wait Times for getting green card for highly skilled employees from India is about 50 years. During this waiting period, corporations take advantage of this loophole which brings down the quality of life for high skilled employees as well as hard working american citizen counterparts. Its totally immoral to have this modern day Slavery in the form of H1B Regulations. 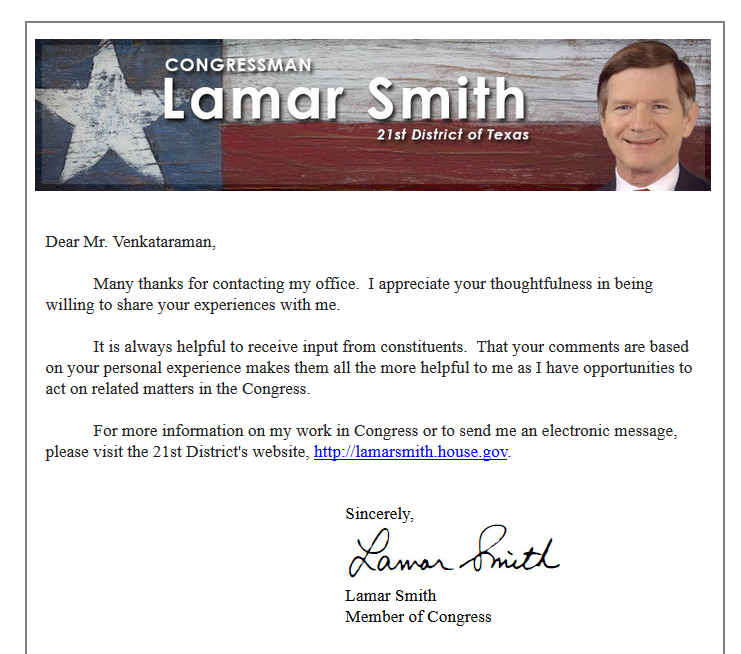 I would like to ask you to support H.R.213 , which eliminates per country Green Card quota, which helps to bring freedom to highly Skilled H1B Workers from India and China. Please support H.R.213 to make impact on my personal life as well as my fellow hard working citizens of this great nation. Twisted Facts - Why so called supporters of Humanity supports slavery ? ?